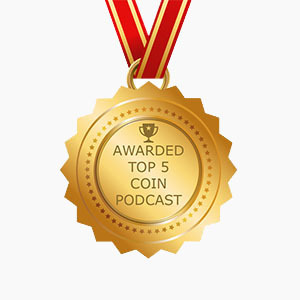 On Episode 87 of The Coin Show, Matt tells us about the Economite Hoard, Mike gives Matt a quiz, and they talk about “The Coolest Thing To Walk Into Matt’s Shop This Week”. And as always, the guys give you their unique view on the news in the world of numismatics. Enjoed the show and look forward to many more. Your question #1 “what coins were struck at 4 mints in the same year”, you missed one. Lincoln cents were minted at West Point 1973 to 1986. Granted, they didn’t have the W mint mark, but they were still minted at 4 facilities and that was your question. Nice to have you back! Good show! I was especially impressed with and enjoyed the history of the Economite Treasure; that is what I love about numismatics — the historical connection. Matt — have you ever been to the Posey County settlement, New Harmony? I went there when I was in that area in grad school, and it is really cool. If you haven’t been yet, go there, and I think that you will be impressed with what you see. Awesome! So glad you’re back. Like the new website too.